It’s August, so it’s actually surprising it’s taken this long for the next horseman of the apocalypse to arrive but here it is. Donald Trump, President of the United States and Leader of the Free World, has started his own news channel. The channel broadcasts straight from Trump Tower, in some 1984-style bit of propaganda, and tells viewers of all the ‘real’ facts about Trump’s run as President so far. It was originally hosted by his daughter-in-law, Lara Trump, but The President has elected to hire a professional from one of his favourite ‘fake news’ channels. That’s right, to help further his ‘fake news’ rhetoric Trump has hired someone from no other than CNN. 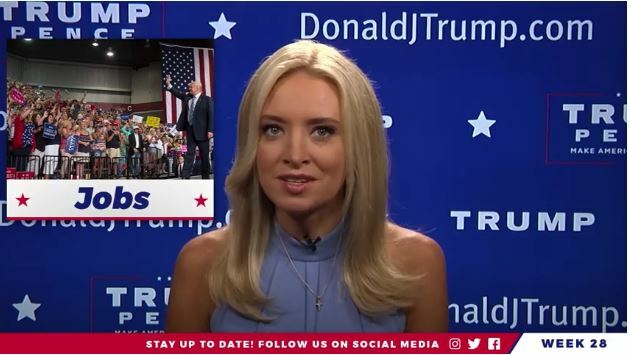 Kayleigh McEnany’s new role involves sitting in front of the camera, with Donald J. Trump’s name plastered on the wall behind her as she tells the world ‘the real news’. She talks about jobs and the economy, but makes no mention of Russia ties, press office instability or lying about phone calls. Thank you for joining us, everybody. I’m Kayleigh McEnany, and THAT is the real news. It all feels very Orwellian, and it allows Trump to weaken his already tenuous relationship to the facts. People are even drawing parallels between the channel and North Korea’s propaganda news channel. McEnany has drawn quite a few comparison’s to the Korean news anchor Ri Chun-Hee. Chun-Hee is known the world over as the mouthpiece of the North Korean regime, dispensing Korean propaganda to the world in a theatrical and exuberant way. The set of Trump TV and the Korean Central Television set even bare striking similarities. It’s all just a bit worrying. 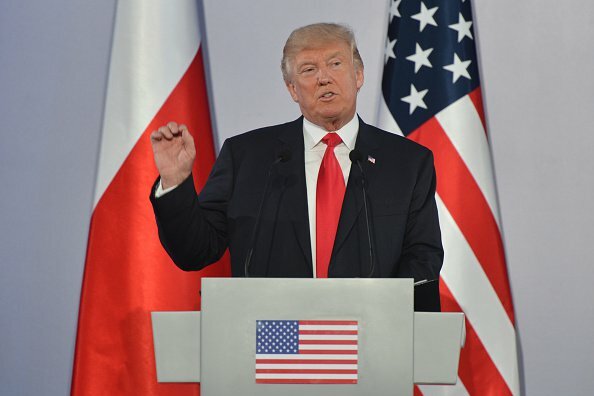 No matter what you think of Donald Trump’s politics, having a state-sponsored news channel that is openly supported and funded by the head of state is a concerning development for all invested in democracy. We know Trump has a difficult relationship with the media but this takes it to a whole new level.